A person’s suit is their pride and joy. When getting ready and going out for a big occasion, or even just heading in for a day at the office, anyone who has worn a suit can testify to the level of class and elegance it provides when wearing it. Sometimes a fine suit may still require some alteration. This may be because the sleeves are too short or it fits too widely around the chest, and this is fine. Tailors don’t always design a suit that fits universally to a person’s frame. When you need your suit altered to fit you exactly how you like it, and you need it done fast, simply bring it into the experts at Instafix. We will provide any manner of alteration you need for your suit with pace and efficiency. No longer will you have to worry about your suit not being ready for that black-tie event, conference, wedding, whatever – bring it to the pros at Instafix and your suit will be looking absolutely dapper with more than enough time to spare before you need to put it on. With a passion for quality and a dedication to getting things done quickly, our tailors provide the perfect combination for efficiency. We don’t believe in clients going away without knowing when they will be receiving their garment, and we also make sure we get it to them quickly. Located in the heart of Sydney CBD and at DFO Homebush, two of Sydney's major fashion hubs, we are conveniently placed for city workers and shoppers by all modes of public transport, and to drivers heading from Blacktown, Bankstown and Burwood to DFO Homebush where there is plenty of parking. 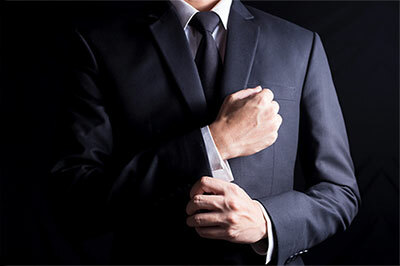 All our tailors have many years' experience in suit alterations. Their experience combined with our handy locations means you can expect your suits to be altered quickly and meticulously. Call us on 0414 734 660 or fill out an enquiry form on our contact page if you have any enquiries about our service. We will get back to you with all the information you require. Why Choose Our Expert Tailors?